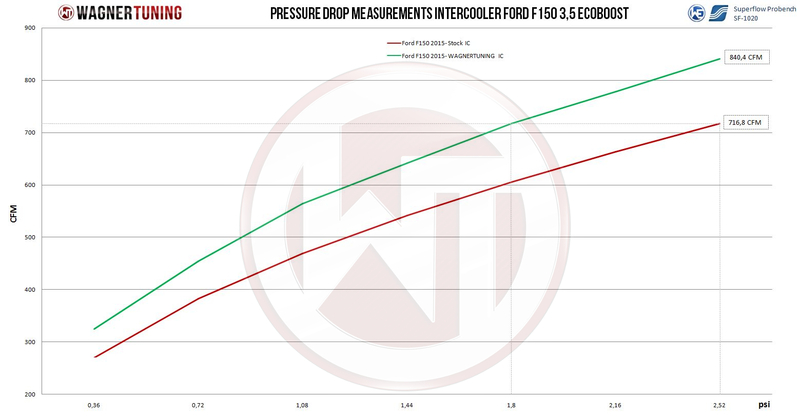 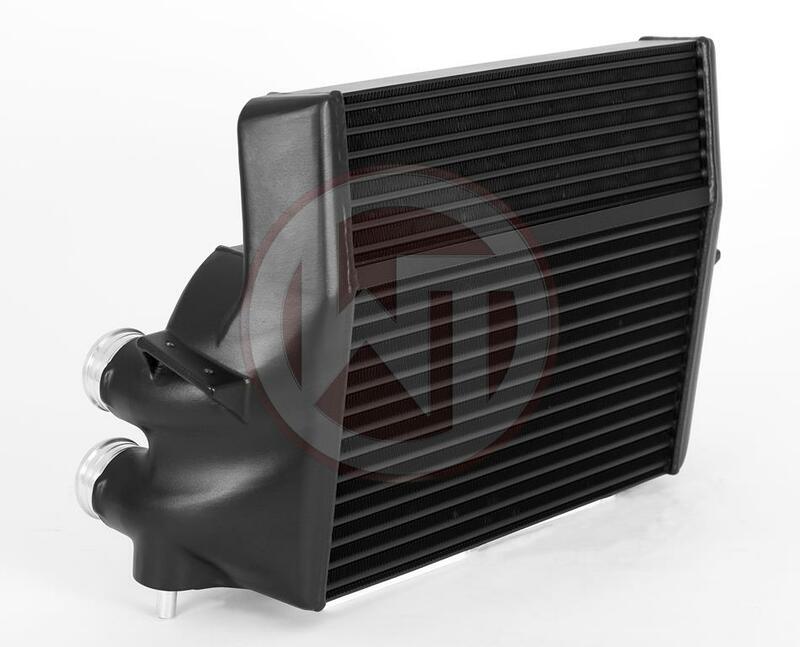 The High Performance Intercooler has the following core size (500mmx388mmx125mm/stepped)/(19,69Inch x 15,28Inch x 4,92Inch/stepped), providing a 62% larger face area, as well as 108% more volume compared to the original intercooler. 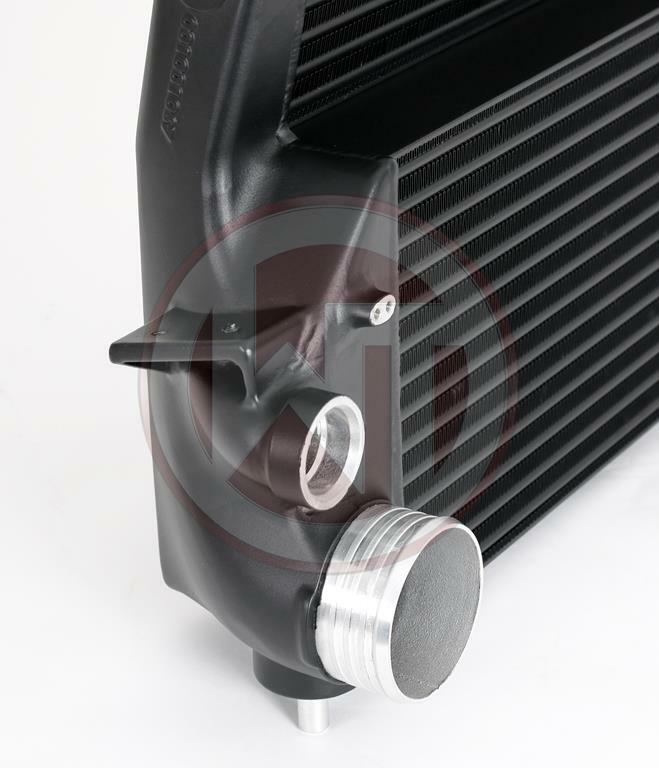 Optimized by CAD, the new Competition High Speed Core and cast aluminium endtanks give this intercooler excellent cooling properties. 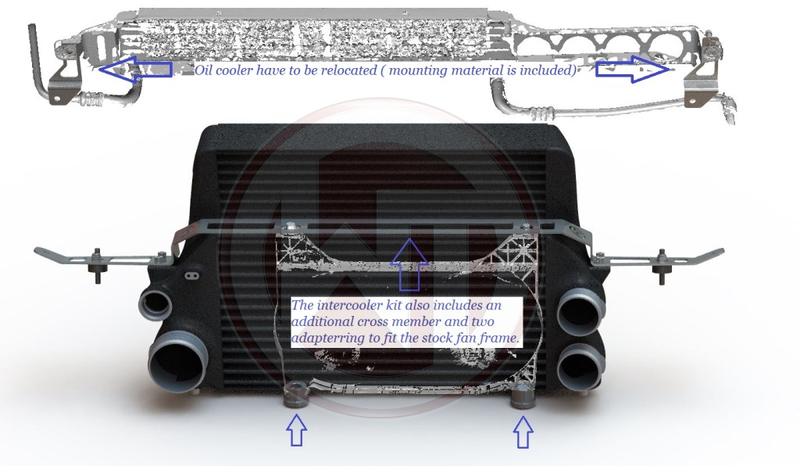 Flow analyses and simulations were created to optimise the design. 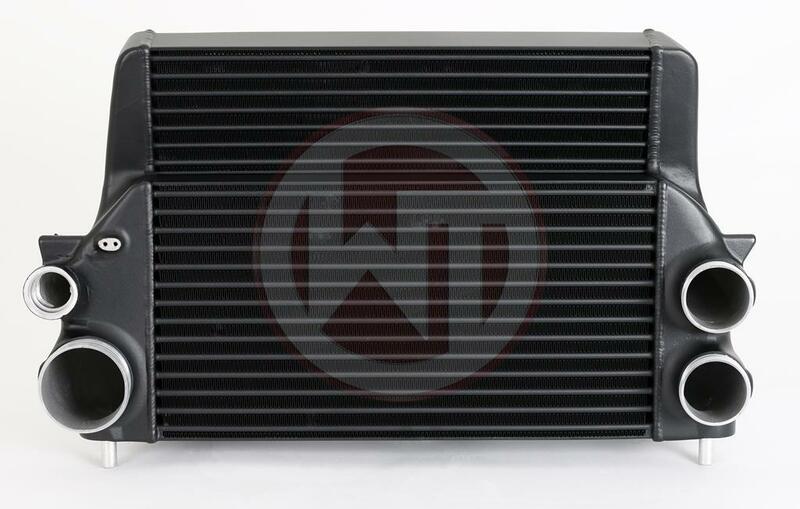 With 50% less back pressure this intercooler is the best choice when it comes to performance gains and low intake temperatures. 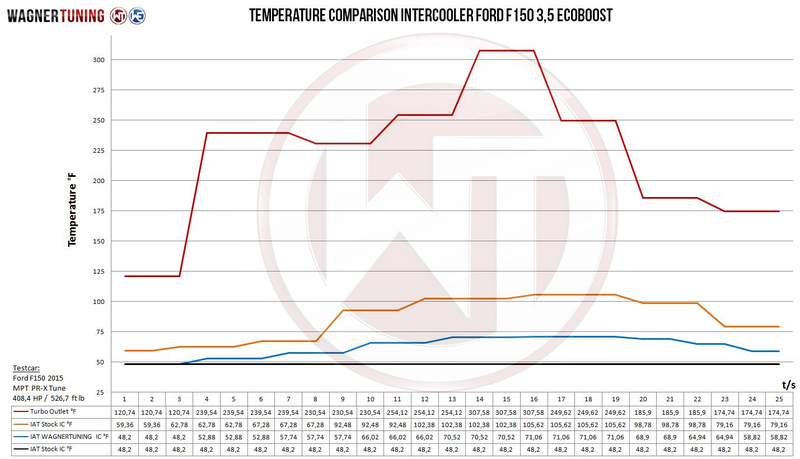 Fitment is easy, replacing the OEM intercooler. 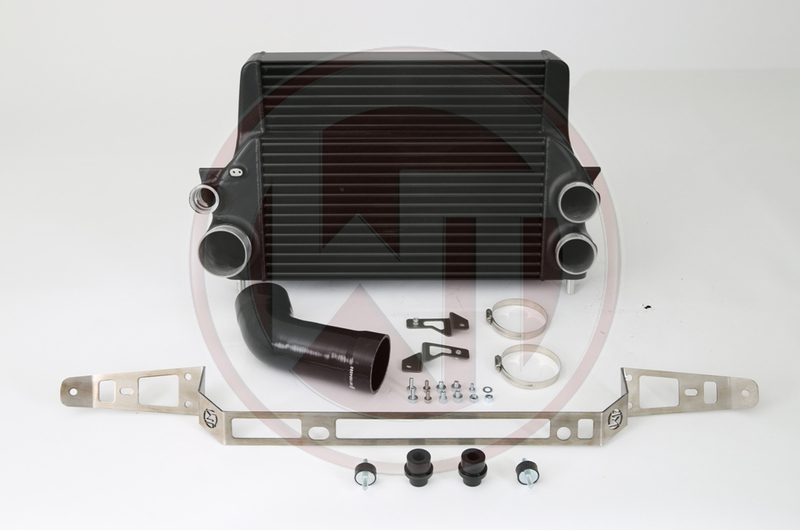 The Intercooler Kit includes additional mounting material to relocate the stock oil cooler and adapt the stock fan frame. 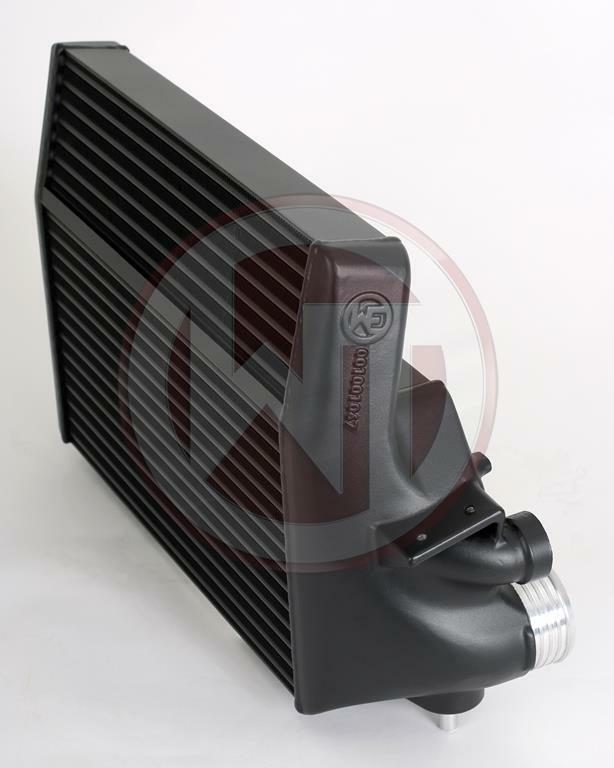 All of our products undergo rigorous quality control.